It’s exciting to adopt a cloud DMS, but businesses often underestimate the amount of work that goes into the migration process. Many that don’t plan ahead fail and never experience the full benefits. Here’s a guide to help you with your cloud migration. Understanding how your company uses on-premise DMS software is key to an effective migration. You may find bottlenecks that you can address within your current processes. For example, if your invoice and purchase order processing are slow and inefficient, you can integrate third-party accounting systems with your cloud DMS software. Migrations are the perfect time to get rid of unnecessary documents. Move documents that are required for business decisions, ongoing projects, and audits to your cloud DMS platform. Delete any duplicate files, out-of-date reference materials, or records that have passed their retention requirements. Once you know which documents to migrate, you’ll need to make even more preparations. For starters, make sure you have sufficient internet bandwidth to upload large volumes of data to the cloud. If the migration is likely to cause major disruption to your operations, you may have to schedule it during out-of-office hours. Then, link your legacy DMS solution to the cloud-based one. State-of-the-art software like PaperSaveCloud lets you do this with just a few clicks of the mouse. You should also take the time to optimize file naming conventions and test your cloud system’s indexing features, so it’s easier to retrieve documents later on. Finally, don’t forget to set document access restrictions based on job roles to reduce the risk of internal leaks and data breaches. Migrating all your documents to a new system should be an iterative process, especially when you’re dealing with terabytes or even petabytes of data. Start with a small batch of documents and check whether they’re being uploaded to the cloud correctly. Are they indexed, searchable, and accessible by authorized users? Are the internal components and features of your cloud DMS working properly? If you answered “no” to either question, you’ll have to consult with an expert to fix the errors and refine your plan for the next batch of documents. Cloud migrations carry many possible risks that may adversely impact your operations and security. For example, when you transfer data to the cloud using an unsecured network, you run the risk of cybercriminals intercepting your files. To avoid this, your networks must be equipped with powerful threat detection software and 256-bit encryption systems that protect data in transit. Data integrity and quality can also be affected when migrating files from one system to another. Document dates, for instance, may reset when files are migrated, which poses a serious problem for companies with strict data retention policies. Migrations may even cause inaccuracies in the data due to software bugs. Being extra vigilant and double-checking your documents can go a long way in mitigating these risks. Extensive testing following migration enables you to address any remaining issues. This means making sure the files made it to the right folders, access restrictions are working, and data is fully migrated. Next, have a small team take the new DMS system for a spin and provide deskside training. Find out how quickly they adapt to the new software while ironing out any user-related issues. If no other problems arise, go live with your cloud DMS. Full-scale cloud DMS migrations may seem intimidating at first, but breaking each step down to sizeable chunks makes everything much less hectic. That said, working with professionals who have performed such migrations countless times significantly increases your success rate. Further read: What makes a DMS software user-friendly? 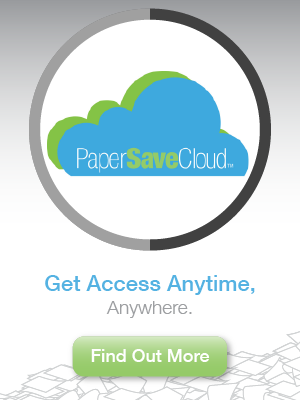 PaperSave helps businesses seamlessly deploy their very own cloud DMS software. All it takes is a few steps, and our experts can show you how. 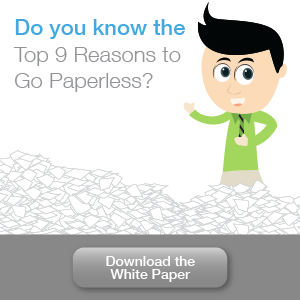 Call us today for expert guidance on deploying PaperSaveCloud. 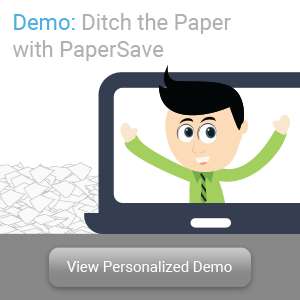 You can also subscribe to our free personalized demo to see how DMS software can transform your business.